The hardest part of event planning is coming up with unique event ideas to make your occasion memorable. 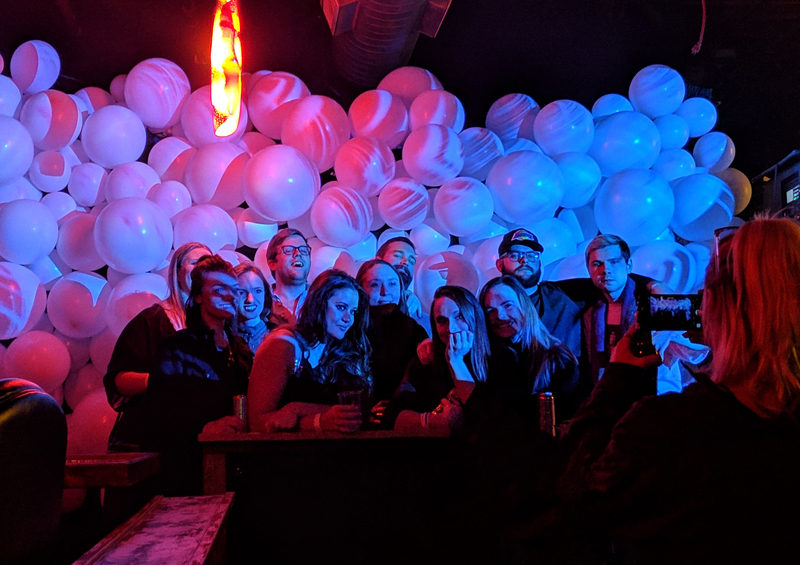 You can go the route of games and an open bar and risk the chance of your event blending with all others that have done the same, or you can stand out by going the Alt Ethos route. Alt Ethos provides creative technology to transform your physical environment to engage your audience with your organization, products, and purpose. One of our popular rentals is the Balloon Hive, an immersive projection that’s perfect for any event and any audience. What is the Balloon Hive? The Balloon Hive is a mass created with balloons of various sizes with a completely customizable projection cast on their surface. The Balloon Hive can custom fit to a variety of spaces and grows in a modular fashion outward to reshape any wall into a billowing display of light. Each construction of the Balloon Hive makes for a unique event decoration and can be abstracted from a stage to a fully reformed room. This texturally rich space brings added dimension to your projection! 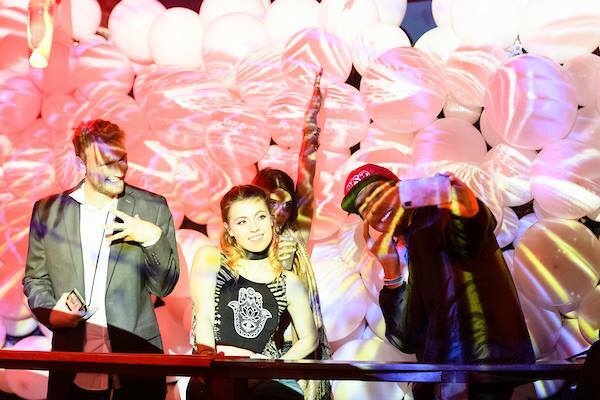 The varying sizes of balloons that make up the wall allow for an exciting and captivating experience. 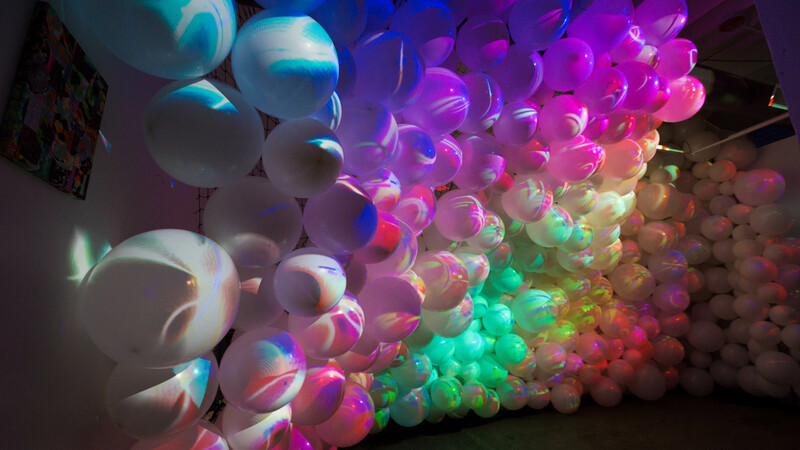 The Balloon Hive is an immersive projection onto balloon surfaces that can be easily customized and installed. Use it for your next stage background, a selfie station, or unique backdrop! The uses are as versatile as the Hive itself. If you take a look at Big Green’s annual Modern Fairytale Fundraiser, you’ll see while the fantastical theme of the Wizard of Oz is fun, the giant Balloon Hive behind the main stage is the star of the night. You can also see another one of our interactive rentals, the Cloud Chandeliers, as a part of the event.